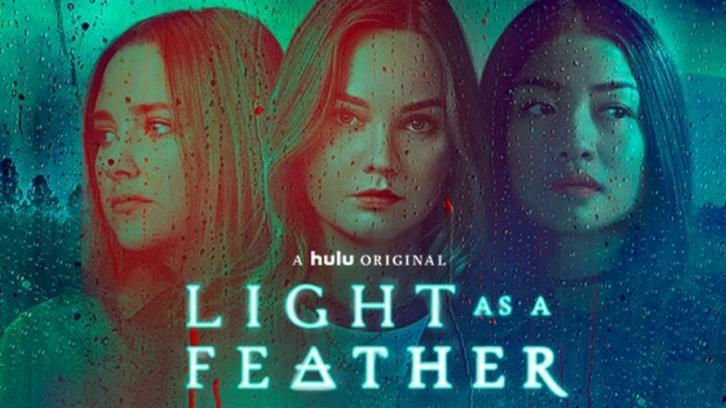 Light as a Feather is an upcoming supernatural teen show produced by AwesomenessTV that will debut on Hulu. It's based off the popular Wattpad story of the same name, written by Zoe Aarsen. The show is about a tight-knit group of girls who fall victim to a strange paranormal force when their lives take a dark turn after a seemingly innocent game of "light as a feather, stiff as a board". 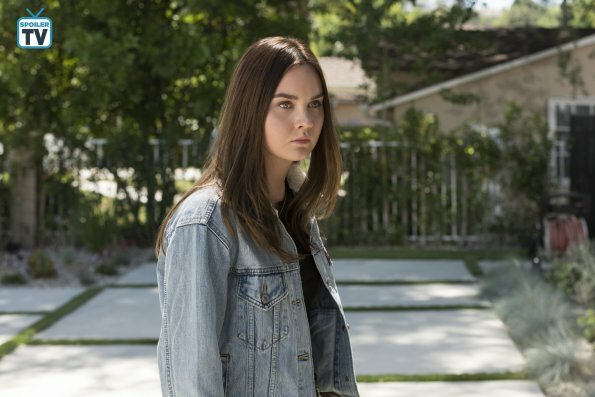 I was given the opportunity to interview two of its lovely leading actresses: Liana Liberato who you may know from films like, If I Stay, Stuck in Love, or The Best of Me, (she's also recently been cast in Hush, Hush, a highly anticipated adaptation of the popular YA romance!) and Haley Ramm aka Brenna from Chasing Life, she also appeared on shows like The Originals, Without a Trace, and Mistresses. Next up she's slated to star in the upcoming Blumhouse Production horror film, Seven in Heaven. Mads: Thank you guys so much for agreeing to an interview with me! I've watched a few episodes of the show so far and I love it. It's the perfect intro to Halloween season, full of creepy fun. Can you tell our readers a little bit about your characters? Liana Liberato: I’m so excited you liked it! I play McKenna Brady. In the first episode of the show, you meet McKenna in a really vulnerable, pivotal point in her life. She is just reacquainting herself with her old life after taking some time away to grieve some losses. The awesome part about McKenna is that she’s a lot stronger and way more resilient than she thinks. It was cool getting to explore that part of her throughout the season. Haley Ramm: I am so glad you’re loving it! I play Violet Simmons. She is a bit of a loner. New to the school. She meets the group of girls through a prank gone wrong. McKenna is instantly sweet to her so Violet befriends her right away. There’s a lot to learn about Violet throughout the season. Mads: Light as a Feather is based on a popular Wattpad story with the same name written by Zoe Aarsen. Were you guys at all familiar with the story beforehand? LL: I actually didn’t initially know it was based off of the Wattpad story! Though I learned about it very quickly after I signed on. People love Zoe’s book and the fans are awesome. HR: We knew it was based on a popular book but none of us had read it. References to the book came out often throughout filming with the help of our writer R. Lee Fleming. It’s amazing how deep the story and its history goes and where it can continue to go. We have endless possibilities. Mads: I remember playing games like light as a feather and messing around with Ouija boards at sleepovers with my friends in high school. Had either of you actually played the game or anything similar before the show? LL: I have a really vivid memory of playing light as a feather with a group of my friends in a backyard. It worked and all of us freaked out. HR: I was definitely familiar with the game but had never played. Honestly, I was too afraid! Mads: I imagine working on a set like this could be kind of creepy at times, especially since you were really reciting the iconic "light as a feather, stiff as a board" chant. Any spooky stories or incidents you could share from the set? HR: The house we used as Violet Simmon's was the creepiest (apart from cemeteries). We actually shot off of a street called Mariposa which means butterfly in Spanish. I think that’s pretty eerie with all of the black butterfly occurrences in the story. That same house had been used as a set for a bunch of horror films so they were props left behind like a noose in the attic. Mads: The Craft had a pretty iconic scene involving a game of light as a feather too. Were you at all inspired by the film or other popular "teen scream" films like Scream or I Know What You Did Last Summer? LL: I think all of us knew from the beginning that we were following after some pretty big footsteps. Though I do think our show is incredibly unique, films like The Craft or Scream were a huge inspiration to us while we were shooting. HR: Definitely inspired by horror films that came before us. The Craft was mentioned a lot. Ingrid Goes West was a big inspiration for me. As a cast we all enjoy watching crime documentaries in our down time. We would sit by crafty and talk about the docu-series The Staircase and discuss if he did or not. You’ll get that feeling watching our show too. Mads: This seems like the type of show to have stunt work or possible heavy makeup and CGI depending on how certain plotlines play out. Were you guys excited by the idea of that physicality or crazy prosthetics? LL: Oh my gosh yes! Prosthetics and stunts are such a draw to a show. I feel like it amps everyone up on set. It’s so cool to see yourself or your cast mates transform into something completely different! HR: Definitely! I had never worked with prosthetics on my face. I have so much respect for actors who completely alter their looks through prosthetics. It’s claustrophobic, messy and time-consuming. I really enjoyed getting to work with such incredible special FX talent. It was a very cool experience. So many stunts. We had doubles, but whatever we could do ourselves, we did. We all had a group spa day at the end to ease our minor injuries. Mads: By the synopsis alone and based on the few episodes I saw, it seems like this is going be a show with a high body count. I imagine filming a Hulu show that will release all episodes at once is different than a week-to-week network show, but did you guys feel any sense of trepidation reading each script and wondering when or if your character was going to be killed off? LL: Totally. We had no idea how the show was going to end until about a week before we shot it. A few of us, for performance reasons, knew certain things about the story before we started shooting, but for the most part we were just as anxious about reading the scripts as the audience will be watching the show. We had no idea what was coming! HR: We received the first five episodes in the beginning so we knew who was safe for those. After that it was free game. We had been told possible storylines but in television you never know what’s going to change last minute from episode to episode. Mads: Liana, when you were doing press for If I Stay back in 2014 you talked about how many of your characters were often victims of their own trauma, in that film you were a bystander that had to comfort someone you loved through a painful experience. On this show you're sort of in both of those positions, going through something terrible yourself but also having to watch as your friends are suffer along with you. Was that duality something that drew you to the role and did you find it challenging at all to navigate? LL: That is such an interesting observation! I found the opportunity to explore both positions really challenging and exciting. The wonderful thing about television is we have a lot more time to expand on certain experiences and emotions. I felt like there were a lot of times in which the traumatic moments of McKenna’s past took a huge toll on her - but then there were times where she has to help her friends overcome a lot of pain as well. I do feel like those situations go hand in hand, though. McKenna would have never been able to help her friends if weren’t for her past and what she had been through. Mads: Both of you have predominantly worked on drama and comedy films up until now, what made you guys decide to tackle a supernatural television show? Liana, you worked on a horror film called Haunt, did your experience on that set help your performance on this show? LL: In terms of having to sometimes react to things that aren’t actually there, yes, some of my other work totally came in handy! 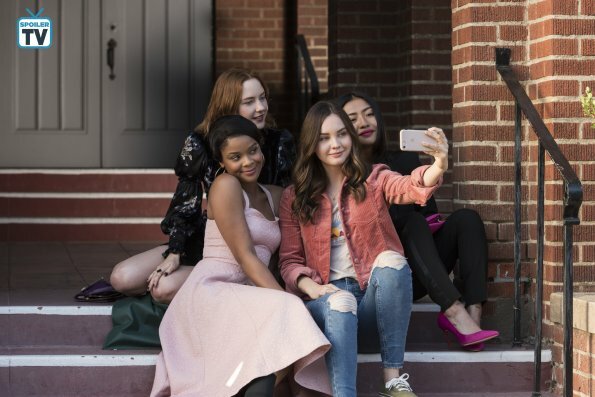 Though the show is supernatural (and I love that genre), the thing that truly gravitated me to the role and the show was the unbreakable bond these girls have. I was really excited to work with all these talented young women and promote such a great message. Female friendship and empowerment is greatly underrepresented and I saw this as a fun opportunity to promote that. HR: It just came in as a regular old audition for me. The cool part was, Liana and I had been at a girls get together a couple days before and she was talking about the new show she was about to start. I took a further look and realized it was the one she was doing and immediately my interest was piqued. We’ve been in this game together for maybe 15 years so to get to work together this closely was a dream. I’m a big fan. Plus, horror is always fun and full of unexpected moments. Mads: Haley, I saw that you're actually going to be starring in an upcoming Blumhouse production. 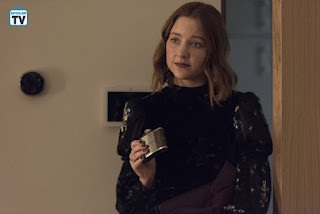 That company is becoming pretty popular nowadays with recent releases like Get Out, Happy Death Day and Truth or Dare; did working on this show make you want to branch out further into the genre? HR: Filming Seven in Heaven for Bluhmhouse made me want to continue with the genre. I realize how much I liked it. Also, just getting a job as an actor is nice (ultimate understatement), let alone to love the material you’re doing. I would love to continue. One of my favorite things about Light as a Feather is the dark comedy aspect. It’s underneath, but it’s there. Mads: Haley, what was the journey from Chasing Life, a show with a drastically different tone, to Light as a Feather like? HR: Yes, Chasing Life and Light as a Feather are completely different, but I can see a similar audience watching. I did recognize some character traits Violet has that are similar to Brenna. Mainly, being the outsider. Mads: One thing I really loved in the show is how natural the core friendship felt. The chemistry between you guys seems very genuine. There is a grounded feeling of camaraderie. I really believe these girls have a rich shared history between them. Were you guys able to get to know each other beforehand or did it just sort of come naturally? LL: I’m obsessed with them. These girls are so insanely talented. They are so nice. They are so much fun. I’ve actually known Haley Ramm for like 10 years! We basically grew up auditioning together and previous to signing onto the show had just wrapped doing our first movie together. I also knew Peyton List (whom I adore) before signing onto the show as well. As for Brianne and Ajiona - it was love at first sight. God bless our editor who had to cut around all the giggle fits we had between takes. HR: Like I said Liana and I had known each other for years. I also knew Jordan Rodriguez before we started filming. We’ve had mutual friends for a while. I think we all just got along so well because we had similar upbringings in this business. Our chemistry was genuinely natural. We’ve all been doing it for so long and have a good sense of humor about it. Everyone was a joy to see everyday and I think I can speak for all of us when we say we genuinely miss seeing each other daily and taking turns buying each other Starbucks. We just don’t miss shooting on 120° days. Mads: That said, Haley, your character, Violet, is more of an outsider. She's eager to be accepted by these girls, although we don't really know what her motives are. What is it Violet sees in McKenna that she finds herself so drawn to? HR: Violet sees a part of her old self in McKenna. Violet is coming from a new school and an old friend group. She used to have what McKenna has. Mads: Violet and McKenna’s relationship, while brand new to both girls, seems to be one of the central relationships of the show. If you could sum up their relationship in one word what would it be? LL: I only get ONE word?! Oh boy. I would say - Complicated. (Extremely, extremely) Complicated. Mads: I have to say, many of their interactions had me thinking: Single White Female. Would you say that's an accurate appraisal of their relationship or is there more there than meets the eye? LL: I think there’s a lot more than meets the eye with both characters. Haley does a beautiful job teetering between being vulnerable and totally creepy, which is difficult, because Violet has a lot of layers. But I also think Violet underestimates McKenna’s resilience. Mads: Given how mysterious of a character Violet is, can you give us any hints as to what we might find out over the course of the season? HR: Love is a Battlefield. Mads: Haley, it's interesting to see how you vacillate between Violet being the perfect, sweet, best friend type to McKenna and then someone much more sinister when alone. Did you find it difficult to balance these two conflicting sides of Violet's personality? HR: I think, as an actor, it’s the dream to play a character who can have multiple personalities. When we first started, I was most excited about the times where Violet would be alone in her thoughts because she’s a sweet girl, but her thoughts are scary and she’s afraid of her self. 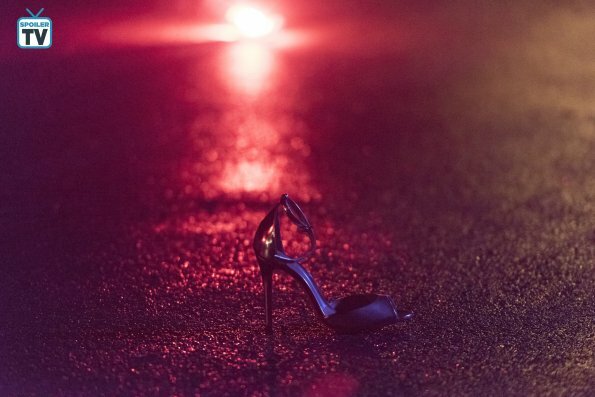 Mads: McKenna has a troubling past (and present) of her own. Is that something that maybe makes her more relatable to Violet than some of the other girls? LL: I think so. I think immediately McKenna sees brokenness and loss in Violet. Even if she doesn’t know the extent of it. 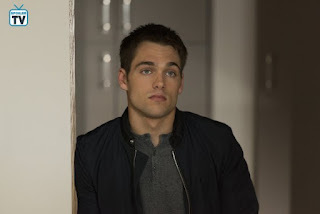 Mads: Liana, Dylan Sprayberry is playing Henry, the brother of Peyton List's character, Olivia, and a possible love interest for McKenna. Sparks were definitely flying between McKenna and Henry from the first episode. Can you tease the nature of their relationship and how it might develop over the course of the show? LL: All of McKenna’s life she has just been “Olivia’s friend” to Henry. But due to the ever changing circumstances throughout the season…. Henry starts to look at McKenna very differently. McKenna’s feelings also grow and change toward Henry as well. Relationships are… complicated. Especially when supernatural games are involved. Is that vague enough? Lol. Mads: Speaking of complicated relationships, I get the feeling that McKenna and Trey have a complex one. Can we expect that to unravel, possibly in dramatic fashion? LL: Oh, you can definitely expect a dramatic unraveling! There are a lot of questions that circulate around McKenna and Trey’s relationship. All I can say is - expect some answers. Mads: Light as a Feather is dropping all at once, exclusively on Hulu, on October 12th, just in time for Halloween. I know Halloween is one of my favorite holidays, what about you guys? Any favorite traditions? LL: I used to do this thing called a “Haunted Driveway.” Back in my old home, I had this super creepy, long driveway. All of my friends and I would dress up as zombies, open the gate to my driveway, and allow trick-or-treaters to make their way down to get their candy. We had so much fun scaring people! But this year, I think all the Light as a Feather girls will be hosting a little viewing party! HR: I love dressing up for Halloween! I think I’ll finally fulfill my Halloween dream of being Edith Head this year. Mads: Thank you again for agreeing to the interview! Great work on the show. I look forward to seeing the entire season and crossing my fingers there might be a second one! I want to extend my gratitude to Liana, Haley, their representatives, and the team at AwesomenessTV, specifically Caitlin Burla, for making this interview possible. If you're a fan of shows like Pretty Little Liars, MTV's Scream, Teen Wolf, or scary movies I definitely think this is one worth your time. Liana and Haley are joined by a great supporting cast as well, the chemistry between the main girls is fantastic, you can really tell how much fun everyone had shooting this show. Stay tuned for my upcoming preview of the first season for a tease of whats to come and even more reasons to watch! 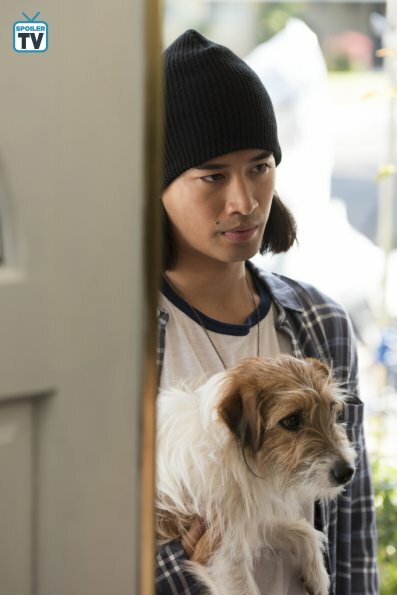 ALL TEN EPISODES OF LIGHT AS A FEATHER WILL DEBUT FRIDAY, OCTOBER 12TH EXCLUSIVELY ON HULU!